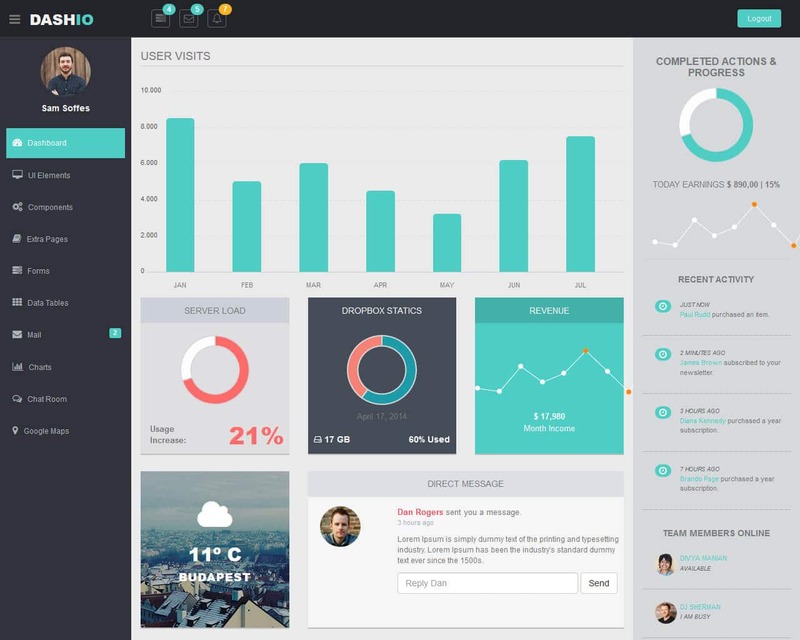 Dashio It is fully responsive admin dashboard template built with Bootstrap Framework. Flat color, Customized Chart, Easy to customize and developer friendly code Dashio comes with 35+ well crafted pages required for creating a complete admin for your app. It’s very much adaptive with any size viewport including iPhone, iPad, android phone and tablet. Dashio comes with a well commented and easy code that can be used by newbies as if is also very straightforward. It is amazingly crafted and comes with many features, many reusable UI components and so much more that will all work to make you a great dashboard. Dashio template design is very adaptive and it comes with different size viewpoint which supports all the popular devices including mobile. It is suitable for almost all web applicators, for example, admin dashboard, project management system, custom admin panel, CRM, CMS, and application backend.